Modern Herbal Education is the official website for The School of Modern Herbal Medicine, founded by Steven Horne, aka "The Herb Guy." Steven is professional member of the American Herbalist's Guild (AHG). He served on the Governing Counsel (Board of Directors) of the Guild for four years and then as President for another four years. 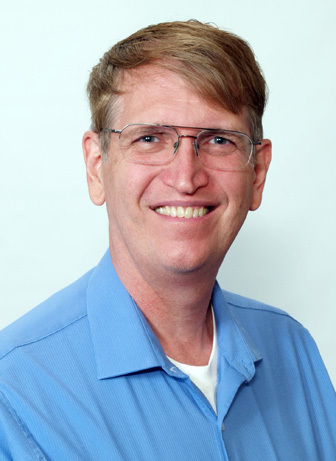 Steven is also a professional member of the International Iridology Practitioner's Association (IIPA) and has served on its Board of Directors. An herbalist, natural health teacher, author, and consultant, Steven has lectured all over the United States and Canada and in several foreign countries. He worked for Nature's Sunshine Products (NSP) for six years and helped to develop their body system's approach to product marketing and their educational programs. Since leaving NSP in 1990, he has continued to lecture and consult for that company. Besides speaking for Nature's Sunshine, Steven has spoken at HerbFest, Whole Foods Expo, Clayton College annual conference, AHG annual symposium and many other conferences. He is a popular speaker and students find what he teaches is practical and easy to understand and apply. Steven is the founder and President of Kether-One, Inc., dba Tree of Light Publishing. Steven also offers personal health consultations through ABC Herbs. Steven is partnered with Dr. Kimberly Balas, ND in Vital Solutions. He helped to start three herbal product companies, Cedar Bear Naturals, Limited Edition and Liquid Light. Steven has a personal website at where you can download consult forms and learn more about his various projects. Thomas Easley, RH(AHG) is the co-author of the book Modern Herbal Medicine and an instructor for the School of Modern Herbal Medicine. Thomas is a Clinical Herbalist and professional member of the American Herbalists Guild. He has been in full time clinical practice for 12 years. He is the co-developer of the School of Modern Herbal Medicine’s Advanced Herbal Training Program and Activating the Healing Response Course. 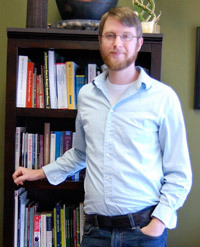 Thomas believes in using foods as primary medicine and uses intensive diets as well as stress reduction techniques, nutritional supplements and exercise to help people achieve their health goals. Thomas is the founder of and primary instructor for the Eclectic School of Herbal Medicine. His philosophy integrates modern science and traditional herbalism into a unified and systematic approach to health and healing. He is trained in and uses functional medicine theory, as well as modern naturopathic therapies along with Traditional Western Herbalism. His approach is influenced strongly by both the Eclectic and Physiomedical Physicians of the 19th century. The School of Modern Herbal Medicine is dedicated to "Excellence in Herbal Education." It is a dba of Kether-One, Inc. The School of Modern Herbal Medicine is dedicated to empowering people with knowledge and skills to heal their lives on every level: physical, mental, emotional, spiritual, social and environmental. The School offers two levels of training, our Certified Herbal Consultant program, which helps people learn to be consultants using commercially available herbal products and our Professional Herbalist Training Program, which we designed to help students become professional members of the American Herbalists Guild.